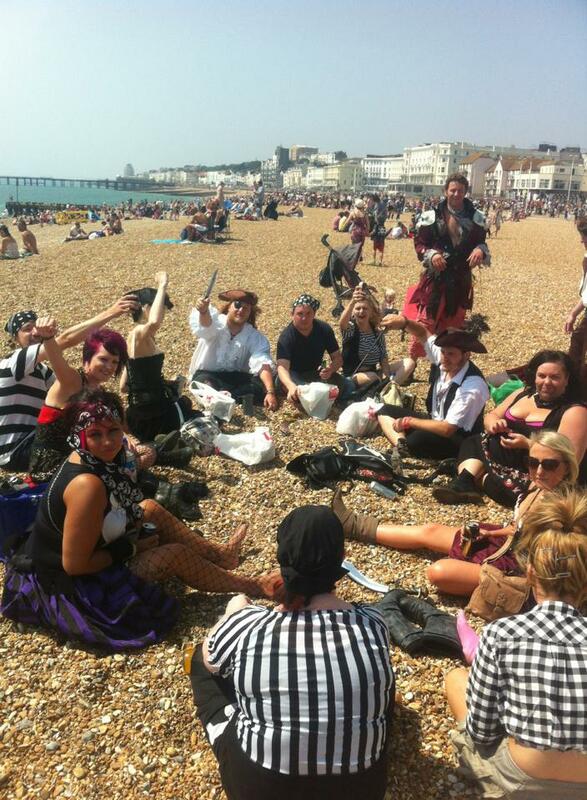 This past Sunday was Pirate Day in my home town of Hastings. It has been an annual event in the town since 2009. It started as a (successful) attempt to break the world record for most people dressed as a pirate in one place and has been happening every year since. Although this year they didn't even bother counting everyone. I think maybe Hastings still holds the world record from last year. 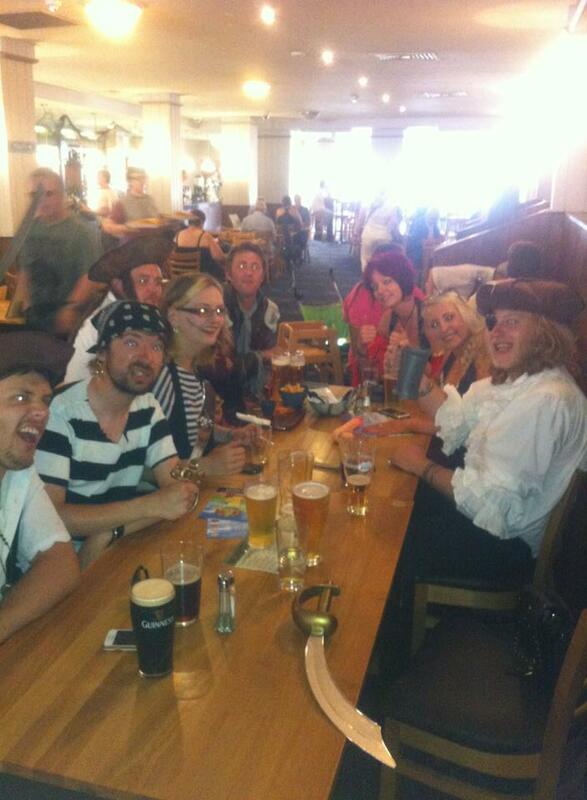 All in all it was a fantastic day, spent with fantastic friends and I am going to miss each and every one of those scurvy dogs when I am off sailing the seven seas next year. I am sure there will be plenty of days upon which it is acceptable to dress up silly and drink Jagerbombs for breakfast in Canada... right? I don't even know how to reply to this. You'll probably need the jagerbombs to stay warm in Canadaland! 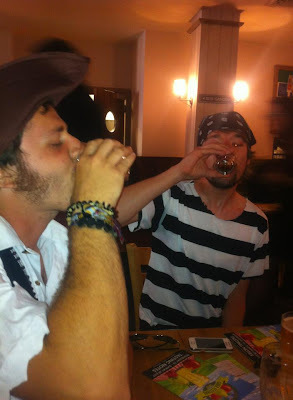 if dressing up as a pirate is the craziest you can come up with you are not trying hard enough! If it's not acceptable to dress silly and drink in the morning, then my whole household is fucked. Well, okay, we are regardless but whatever. Wut? Promise me December 8th and time traveler day will not go unnoticed. We need to do this together. Solidarity, from the future!